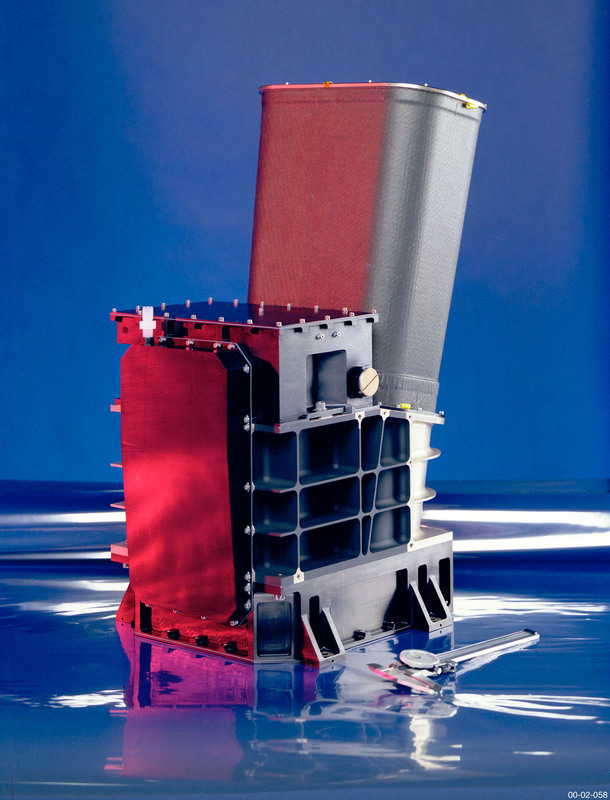 The Thermal Emission Imaging System weighs 11.2 kilograms (24.7 pounds). It is 54.5 centimeters (21.5 inches) by 37 centimeters (14.6 inches) by 28.6 centimeters (11.3 inches). THEMIS runs on 14 watts of electrical power. 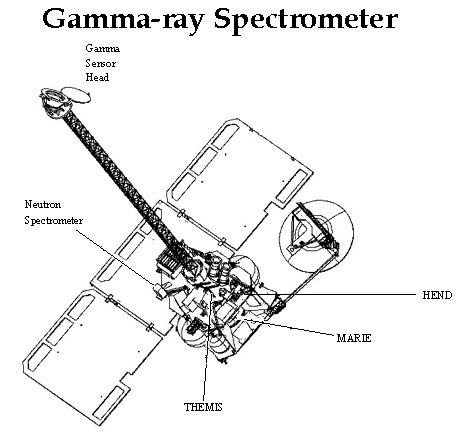 The Gamma Ray Spectrometer weighs 30.5 kilograms (67.2 pounds) and uses 32 watts of power. 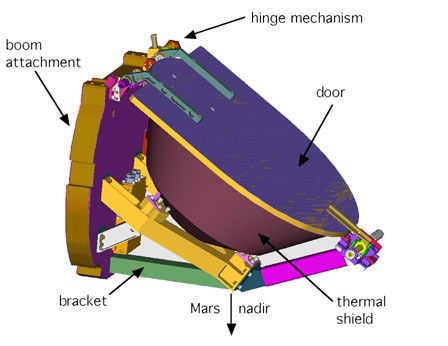 Along with its cooler, the Gamma Ray Spectrometer measures 46.8 centimeters (18.4 inches) by 53.4 centimeters (21.0 inches) by 60.4 centimeters (23.8 inches). The neutron spectrometer is 17.3 centimeters (6.8 inches) by 14.4 centimeters (5.7 inches) by 31.4 centimeters (12.4 inches). The high-energy neutron detector measures 30.3 centimeters (11.9 inches) by 24.8 centimeters (9.8 inches) by 24.2 centimeters (9.5 inches). 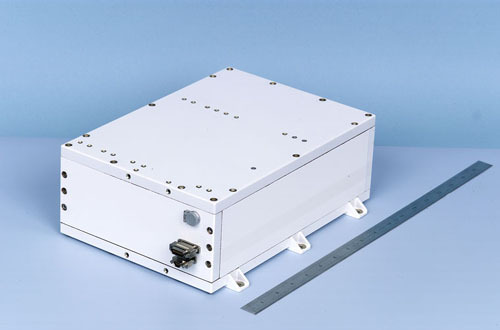 The instrument's central electronics box is 28.1 inches (11.1 inches) by 24.3 centimeters (9.6 inches) by 23.4 centimeters (9.2 inches). 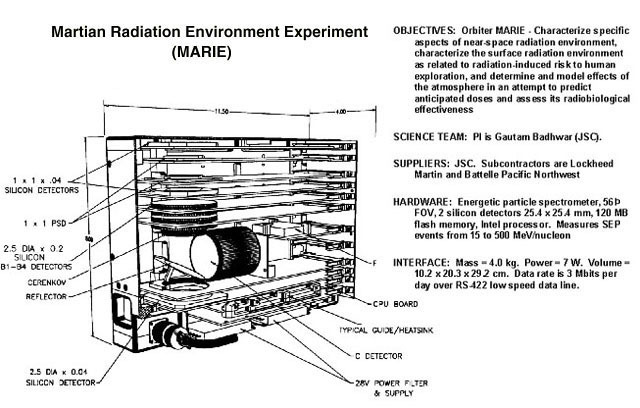 The Mars Radiation Environment Experiment weighs 3.3 kilograms (7.3 pounds) and uses 7 watts of power. It measures 29.4 centimeters (11.6 inches) by 23.2 centimeters (9.1 inches) by 10.8 centimeters (4.3 inches).